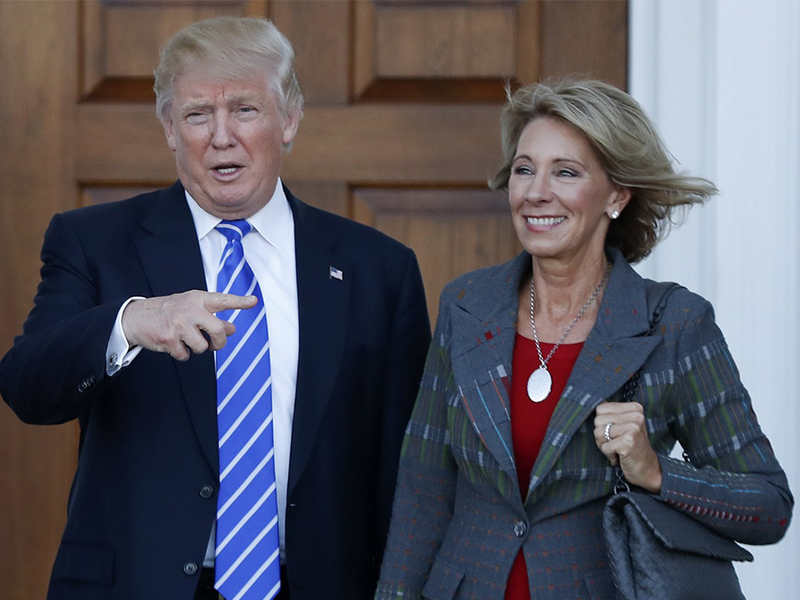 Cranford, NJ—On November 23, 2016 President-elect Donald Trump announced the selection of Betsy DeVos as his nominee for Secretary of Education. “American Atheists has grave concerns about the direction of education policy under the Trump Administration. In particular, Mr. Trump’s support for vouchers, a scheme which allows taxpayer dollars to be directed to religious schools, is cause for alarm. “The nomination of Betsy DeVos to implement Mr. Trump’s proposal to spend $20 billion in federal taxpayer dollars, and more than $100 billion of state education funding, on religious education makes it clear that American Atheists and other advocates will need to remain vigilant and do everything in our power to fight any attempt to force the American public to subsidize religious dogma. “These religious schools are under no obligation to admit all students and giving government funding to schools that can deny admission on the basis of religious beliefs, sexual orientation, or even race is a total non-starter.